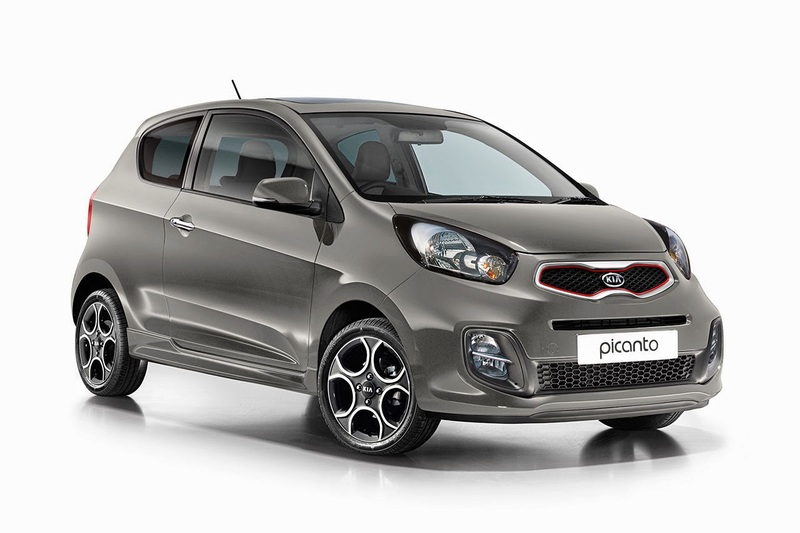 Kia’s popular city-car Picanto range has been widened with a new highly-specified special edition model – the Picanto Quantum. Forming part of Kia’s ‘Originals’ range – a line-up of models with distinct personalities that are changed at regular intervals along the lines of a fashion collection – the Quantum is uniquely available in 3-door guise but with the choice of a manual or automatic transmission. Powered by a 1.25-litre petrol engine, developing 84bhp at 6,000rpm and 120Nm torque at 4,000rpm, the Picanto Quantum is finished in Titanium Silver metallic paintwork with premium black cloth interior upholstery and sits alongside the existing Picanto ‘White’ in the ‘Originals’ programme. Standard equipment includes 15-inch five-round-spoke alloy wheels, automatic air conditioning, a smart key entry system with engine start/stop button, electric sliding and tilting sunroof, electrically folding, adjustable and heated door mirrors with LED indicator lights, front foglights, a six-speaker audio system, body-coloured side sill mouldings and automatic headlight control with ‘see-you-home’ and ‘welcome’ lighting. The Picanto Quantum also adds to its list of standard equipment with an ‘Urban Pack’ consisting of reversing sensors, LED ambient interior lighting, a premium Supervision instrument cluster and an illuminated driver’s side vanity mirror. There is also UV solar windscreen glass to reduce glare and UV light in the cabin and privacy glass on the rear side windows and tailgate. The Quantum manual version costs £11,895 and has a five-speed gearbox. Its combined fuel economy is 62.8mpg with CO2 emissions of 106g/km. It has a top speed of 106mph and accelerates from 0-60mph in 11.0 seconds. The four-speed Quantum automatic is priced at £12,495. Its fuel consumption and CO2 emissions figures are 50.4mpg and 130g/km respectively, while the performance details are 0-60mph in 12.9 seconds and a top speed of 101mph. Both models benefit from an insurance rating in group 12, Kia’s industry-leading fully-transferable seven year warranty and are available with Kia’s inflation-proof and fixed price Care-3 servicing package for just £299. The Picanto Quantum models are now available in showrooms.